Sending texts. Scrolling through that Instagram feed. 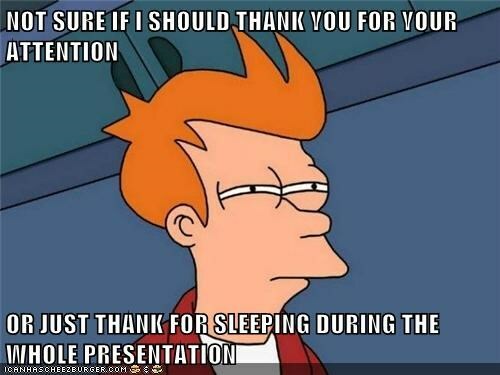 Nodding off for a conference cat nap . These are just a few ways captive audiences pass the time and power through Powerpoint presentations. There are few things that send people to sleep or distract more than endless series of bullet points, screens of texts, or overcomplicated/nonsensical design imagery. While PowerPoint presentations have seemingly lost their luster, they can still be a remarkably effective communication tool - 70% of the American workforce believes that the ability to give a captivating presentation is essential for work success. Whether it’s a fundraising pitch, convincing prospects to become customers or a company meeting, at some point in your career you’ll need to deliver a presentation. So, how can you make sure your presentation is memorable (for all the right reasons? To solve the presentation puzzle, it is essential to focus on three core elements of your PowerPoint. Here are three simple and effective tips that will help communicate more effectively with the power of persuasion. The “Ten Minute Rule” estimates that the entire audience will mentally check out ten minutes into a presentation. From the moment the speaker takes the floor, this mental timer begins ticking, demanding the speaker to ‘wow’ the audience in the minutes that remain. The psychological technique known as “priming” plays a major role in the overall effectiveness of a presentation, and determines how persuasive the PowerPoint presentation is. Priming is an unconscious behavior in which specific words elicit specific thoughts and feelings at a later time. This technique is incredibly useful for getting the audience into the frame of mind most conducive to the presenter. With only ten minutes to capture the audience’s attention, priming allows for the presenter to not only attract attention but also keeps the audience on the edge of their seats, as they anticipate what the next slide may hold. Statistics show that priming can make a presentation 50-70% more effective at persuading an audience. Inundating an audience with an overload of information is a surefire way to lose interest. Forty-two percent of presenters struggle with the same problem: identifying how to organize a PowerPoint in a way that keeps the audience excited and engaged. Although this dilemma plagues presenters, the solution is actually quite simple - limit each slide to just one idea. Studies show that presenting one consistent idea is the best way to convey and communicate information. Introducing one idea per slide keeps the audience’s attention and allows the presentation flow to move at the presenter’s pace. Having several ideas on one slide confuses the audience, as they are forced to digest too much information too quickly. Additionally, limiting each slide to one idea keeps the presenter in check during the presentation. With simple, straightforward slides, the presenter is unable to move too quickly or over-elaborate on a particular subject. The one idea per slide rule helps the audience to better understand the information and prevents the presenter from boring the audience. This concept is an incredibly important tool for those looking to add the power of persuasion to their PowerPoint presentations. Despite the fact that this is one of the most overused cliches , it has never been more true for PowerPoint presentations. Studies have shown that it takes the human brain longer to process words than it does to process images. Images are processed by the brain quickly, and draw significant reactions from the viewer. Sixty-five percent of humans are visual learners, and are more drawn to a compelling image than a line of text or statistics. When working to persuade an audience through PowerPoint, the use of images is a powerful tactic to evoke more pronounced emotions and reactions. A staggering 80% of people remember visuals they see, but only 20% of people remember what they read. Not only will the audience react more emotionally to a PowerPoint image, but they’re also four times more likely to remember it long after the presentation ends. PowerPoint presentations are meant to complement and support a narrative. Proper imaging is not only effective in terms of evoking emotions, but also helping the audience to remember specific points. Managers rely heavily on PowerPoint presentations, but they are not using them nearly as effectively or efficiently as they could be. Almost 70% of presenters design their own PowerPoint presentation and 50% of those spend more than eight hours designing a single presentation. That’s far too much time to spend on a project that’s not generating results. Even with these hurdles, less than five percent of presenters hire a designer or freelancer to assist with the project. SketchDeck has helped thousands of organization’s and startups with their presentation needs, and we’re confident we can help you too with design that will help you more effectively communicate your story. Book a consultation with a SketchDeck design expert now!